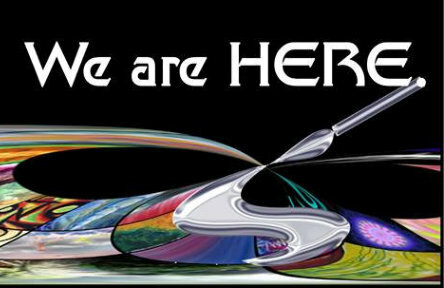 Energy Art Exhibition: WE ARE HERE! I am very excited to be able to announce the first virtual online exhibition of energy art from the Guild of Energists: Art & Magic group. Entitled "WE ARE HERE!" this is the very first of many get togethers of modern energy artists worldwide - energy art is finally here and to me, this represents a personal triumph. Enjoy the exhibition, learn more about energy and art, and unleash the magical energy artist within! 👉 Further Information: Energy Art Exhibition: WE ARE HERE!